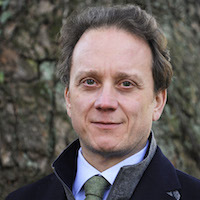 Oreste Foppiani, associate professor of International History and Politics and Head of the Department of International Relations at Webster University Geneva, has been appointed Political Advisor to the Operation Commander of the EU Naval Force in the Mediterranean (EUNAVFOR MED Operation SOPHIA). Operation SOPHIA is the European Union's military operation to fight trafficking in human beings and disrupt oil and arms smuggling, per UN Security Council Resolution 2357/2017. Foppiani, who is also a senior officer in the Italian Navy Selected Reserve, will report directly to Operation SOPHIA commander, Rear Admiral Enrico Credendino. During his consulting mandate, the Geneva professor will travel frequently to Rome (EUNAVFOR MED Operation Headquarters), London (NATO Allied Maritime Command) and Brussels (EU External Action Service). Also, see this French-language interview with Foppiani in daily newspaper Tribune de Genève, on the occasion of last month's 23rd International Humanitarian and Security Conference at Webster Geneva. 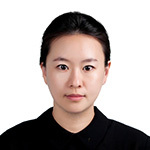 Celine Hong, assistant professor in the Communications and Journalism Department in the School of Communications, has a research paper accepted for the 21st Annual International Public Relations Research Conference taking place this week. She will present "Maintaining Relationships on Instagram: Test of Social Presence, Interactivity and Human Voice on Organization-Public Relationship." The purpose of the study for the paper is to build a model of relationship building in Instagram. Guided by tenants in Social Presence Theory, MAIN model, and conversational human voice, the paper offers theory-driven tactics for practitioners and academics about how to maintain positive Organization-Public Relationship (OPR) on Instagram. 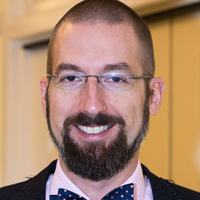 DJ Kaiser, associate professor and interim associate dean in the School of Education, has recently had two papers published in international journals. His article “English Language Teaching in Uruguay,” based on research from his Faculty Research Grant in 2015 and Fulbright U.S. Scholar Grant in 2016, is in the newest issue of World Englishes. The article provides a comprehensive look at the history of ELT practices in Uruguay that both necessitated this bold approach and provided the infrastructure to implement it nationally. Special focus is paid to the public school system with historical changes in ELT and teacher preparation. Kaiser's article, “Mobile-Assisted Pronunciation Training: The iPhone Pronunciation App Project,” is now in the new issue of the IATEFL Pronunciation Special Interest Group Journal. 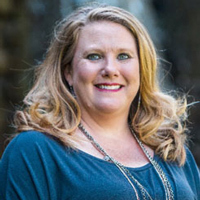 Katie Ervin, director, Fort Leavenworth campus location, was elected Secretary for the Command and General Staff College Foundation board. Ervin becomes the first female officer in the organization's history. Read more in the foundation's announcement here.